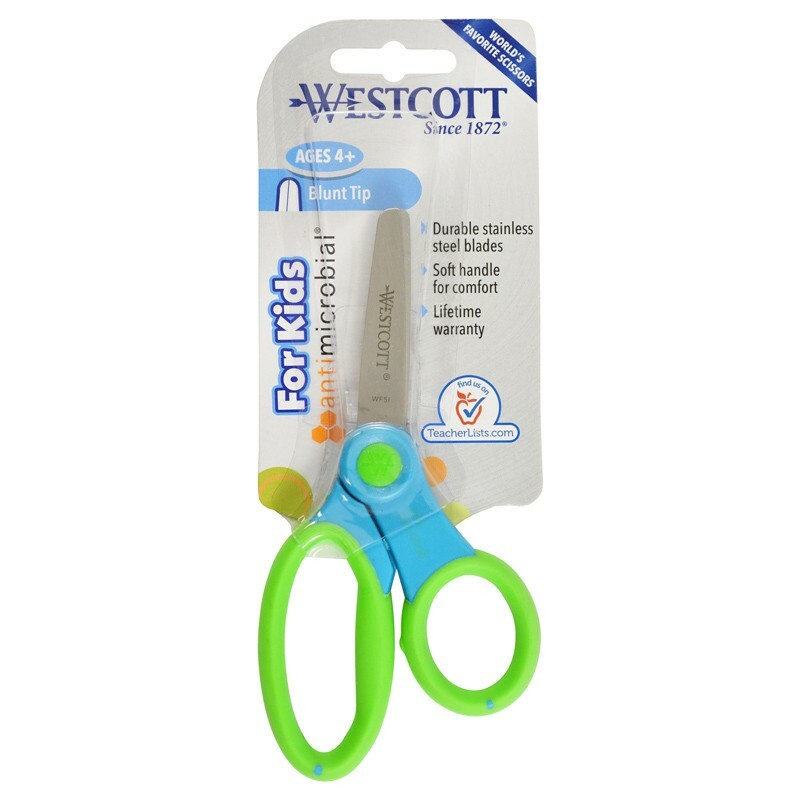 The Westcott 5" Blunt Scissors with Anti-Microbial Protection features soft grip for added comfort and stainless steel blades. The Anti-Microbial protection inhibits the growth of bacterial odors. Perfect for cutting projects, in the classroom or at home. For ages 4 and up. Assorted colors (color can't be specified when ordered).